Situated in Vaderstad, this vacation home is within 9 mi (15 km) of Ostad Golf Club, Naturum Takern, and Sankta Birgitta Klostermuseum. Vadstena Abbey and Vadstena Station are also within 9 mi (15 km). Situated in Svanshals, this hostel is 1.6 mi (2.5 km) from Naturum Takern and within 12 mi (20 km) of Ostad Golf Club and Odeshog Church. Vättern is 12 mi (19.2 km) away. Situated in the suburbs, this inn is within 2 mi (3 km) of Mjolby Golf Club, Mjolby Miniature Golf, and Mjolby Church. Solberga Nature Reserve and Ostad Golf Club are also within 9 mi (15 km). 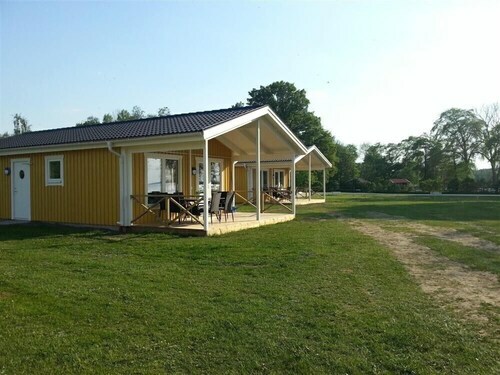 Situated in Mjolby, this golf hotel is 0.2 mi (0.3 km) from Mjolby Golf Club and within 3 mi (5 km) of Mjolby Miniature Golf and Mjolby Church. Solberga Nature Reserve and Ostad Golf Club are also within 12 mi (20 km). 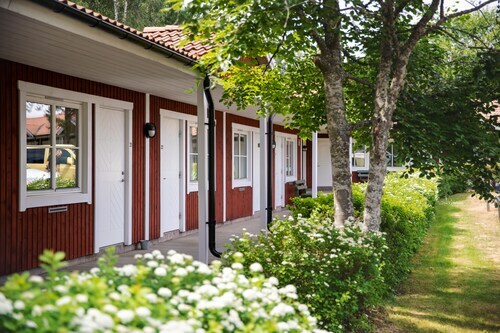 Located in the heart of Mjolby, this hotel is within a 10-minute walk of Mjolby Miniature Golf and Mjolby Church. Mjolby Golf Club is 2.1 mi (3.3 km) away. Mjölby Station is only a 1-minute walk. 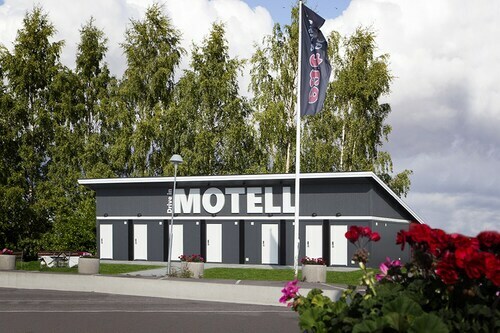 Situated in Skanninge, this hotel is within 9 mi (15 km) of Mjolby Church, Mjolby Miniature Golf, and Mjolby Golf Club. Solberga Nature Reserve and Mantorp Park are also within 9 mi (15 km). Skänninge Station is 6 minutes by foot. 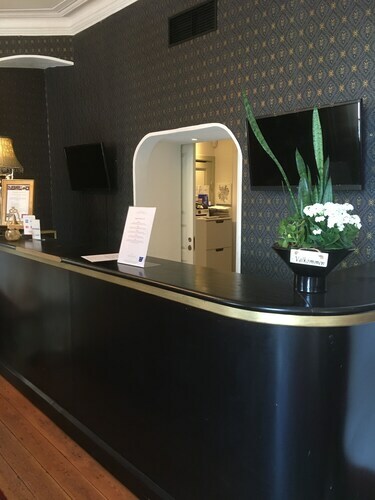 Situated in Vadstena, this hotel is within a 10-minute walk of Vadstena Station and Vättern. Sankta Birgitta Klostermuseum and Vadstena Castle are also within 15 minutes. 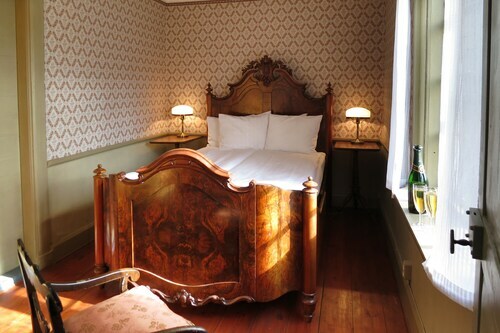 Situated in Vadstena, this hotel is steps from Vadstena Station and Vadstena Castle. Sankta Birgitta Klostermuseum and Vadstena Abbey are also within 15 minutes. 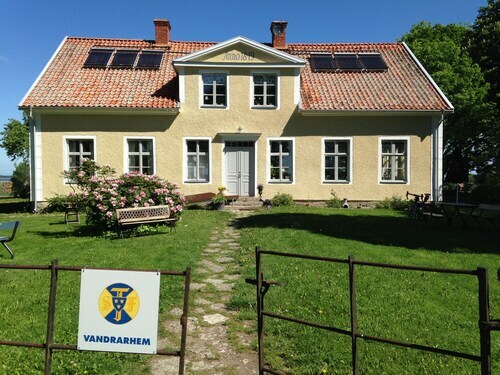 Situated in Vadstena, this vacation home is 0.4 mi (0.7 km) from Vättern and within 12 mi (20 km) of Vadstena Station and Vadstena Castle. Sankta Birgitta Klostermuseum and Vadstena Abbey are also within 12 mi (20 km). Situated on a lake, this cabin is steps from Vadstena Castle, Vättern, and Vadstena Station. Sankta Birgitta Klostermuseum and Vadstena Abbey are also within 15 minutes. Located in Vadstena, this beachfront hotel is in the historical district and within a 5-minute walk of Vättern and Vadstena Abbey. Sankta Birgitta Klostermuseum and Vadstena Castle are also within 15 minutes. 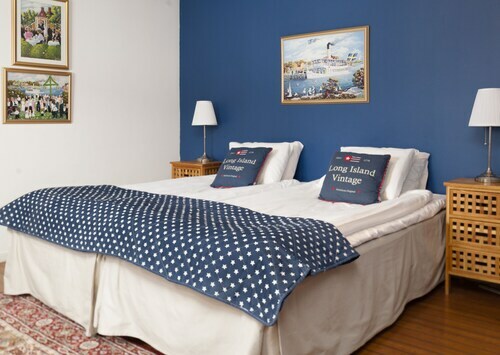 Situated on the boardwalk, this bed & breakfast is within a 10-minute walk of Vättern and Vadstena Abbey. Sankta Birgitta Klostermuseum and Vadstena Station are also within 1 mi (2 km). Do you want to become a better golfer? Ostad Golf Club is a great place to sharpen your skills and even take a few strokes from your game. It's located in Vaderstad, so if you happen to be coming from Stockholm, the national capital, you'll have a journey of 130 miles (209 kilometers) ahead of you. Expect a little bit of a journey to reach your accommodation, since there's nowhere to stay in the immediate surrounds. 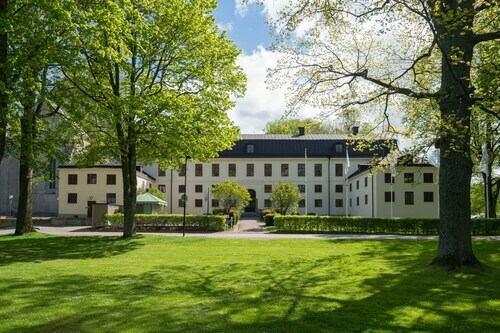 30 miles (48 kilometers) away in Linkoping, you'll discover 9 places to stay. Many visitors favor the Scandic Frimurarehotellet, Scandic Linköping City and Best Western Plus Priceless Hotel. You should head to Naturum Takern if you have any questions. Get valuable maps and brochures that will help you to better enjoy your vacation. Spend a few hours notching a few birdees at Mjolby Golf Club. Putt-putt is just one of those activities that will never lose its charming qualities. Be a kid again for the afternoon at Mjolby Miniature Golf. Seeking a slower pace? Make arrangements to visit Mjolby Church, a peaceful house of prayer. If you're looking for an area landmark that's sure to fascinate the entire family, you should make arrangements for a guided tour of the historic castle, Vadstena Castle. How Much is a Hotel Room in Ostad Golf Club? Hotels in Ostad Golf Club start at $72 per night. Prices and availability subject to change. Additional terms may apply.